In case you haven’t been to one of our shows lately we have some great new red Train Wrecks T-Shirts available. They are nice and lightweight and perfect for the summer. We are keeping our black shirts in stock as well so if you have wanted to get one but have not had a chance they are available in all sizes. We are just about out of the prairie dust shirt and only have small and 2XL sizes available. We will not be re printing these for the time being so if you want one and can fit these limited sizes now is your last chance to get one. We will have all of these available at one of the many shows we will play this 4th of July week. 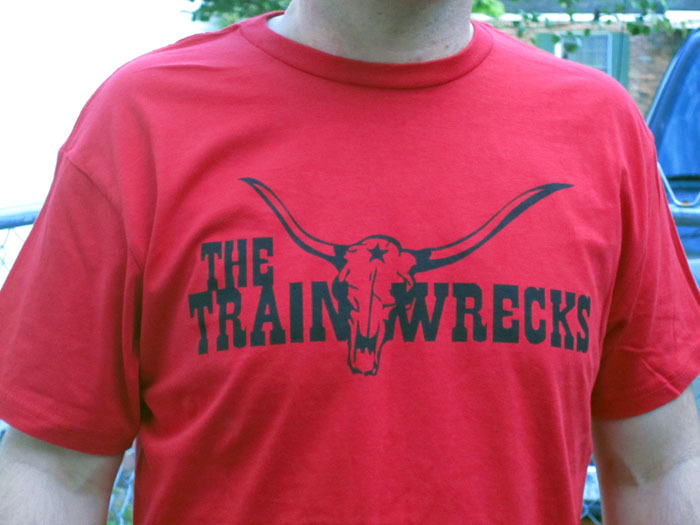 If you are in the Savannah area you will have many chances to see The Train Wrecks perform this week. We are kicking off the festivities on Tybee Island this Sunday July 1st at Social. This duo show, featuring Eric Dunn and Jason Bible ,will be a nice easy going show to warm you up for all of the face melting shows that will occur as the week progresses. On Monday night we will play a full band show at the Tybee local’s favorite bar, the Wind Rose. 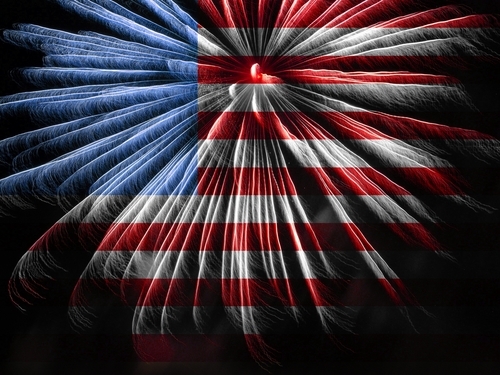 With the 4th falling in the middle of the week this year we expect to see a lot of new faces getting their vacations started as well as a lot of the familiar ones just doing what they do on Tybee. We take a quick break on Tuesday to get ready for the Wednesday 4th of July rocker at Molly MacPherson’s Scottish Pub, downtown on Congress St. They are having an Americana Costume Party as well as our Americana tunes to rock the night away. It’s one of the most American nights you could ever have (even tho it’s in a Scottish Pub). If you are still able to keep going and want your week to carry into the next weekend we are your band of musicians. Jason Bible will head over to Rock’s on the Roof on Thursday night to play a solo show and the rest of the band will join him there on Friday night. The final show of the weekend on Saturday July 7th will be at Molly Maguires on Wilmington Island. This is a great spot to eat, drink, and catch some music so head over and see if the band is still standing after the week of face melters. We can’t wait to see you at the shows and we will be sure to do a little something different every night to keep ya wanting more.